English philosopher (1806-1873). 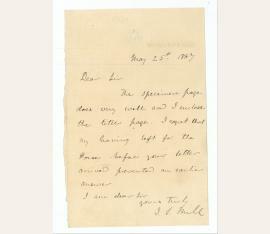 Autograph letter signed ("J. S. Mill"). Blackheath Park, [London]. 8vo. 1 p. On drystamped stationery. "Dear Sir / The specimen page does very well and I enclose the title page. 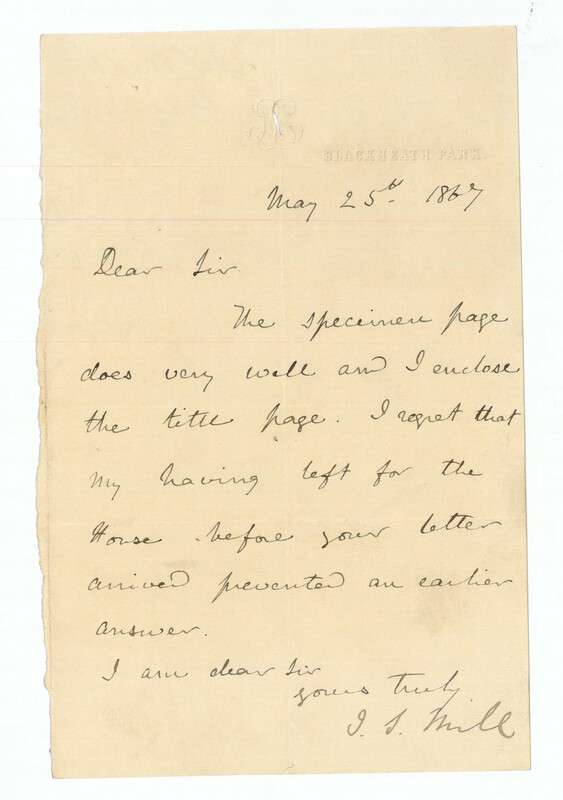 I regret that my having left for the House before your letter arrived prevented an earlier answer [...]". - Traces of folds.